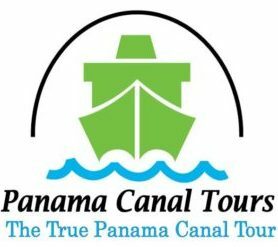 Since 2004 Panama Canal Tours has been operating the most thrilling one-day tour in Panama; partial or complete tour boat trips through the Panama Canal. We are The Authentic Panama Canal Tour. 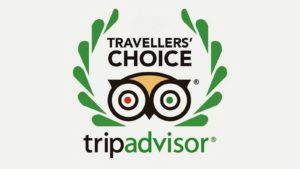 Our tour boat adventures through the Panama Canal have become the most popular tourist attraction in Panama City. We are honored to provide our services to dozens of companies and tourist agencies around the world such as VIATOR/Trip Advisor, major cruise ship line and the thousands of tourist who choose our services when they visit Panama. We operate voyages through the Panama Canal in convenient and comfortable modern tour boats with passenger capacities of between 120 and 500 travelers. The absolute best way to learn about the history and function of the canal is precisely by navigating through the majestic interoceanic waterway. All our boats are equipped to ensure that your tour is both enjoyable and fascinating Our tour boats are constructed with either 3 or 4 levels, air conditioned, have a food service area, a bar area and open deck area furnished with comfortable lounge chairs and restroom facilities. During our trip through the Panama Canal you’ll have the opportunity to witness the Canal operation up close. You’ll observe ocean-going cargo and cruise ships traveling by our side over the very same waterway. You will as well have the opportunity to watch how the tug boats operate as they take charge of guiding and manipulating the passage of these massive ships through the locks, helping them to maintain their position as they maneuver within the giant fresh-water chambers. You’ll feel the sensation of being elevated with the tour boat above sea level and later descending back down all the while alongside the mega ships. Panama Canal Tours offers both interoceanic adventures, partial or complete. Depending upon the time that you have available, you decide which option is most appropriate for you. Our travel packages to Panama are extremely complete thanks to our alliance with the tour operator Continente Ivantours (Ivantours Costa Rica and Panama). Together we are able to create combination packages that include either partial or complete Canal adventures. Our collection of tour packages include airport transfers, hotel, city tour, and of course the tour boat canal crossing. We additionally offer exciting tour itineraries of various days traveling to other regions of Panama, abounding in the natural scenic beauty, culture and bio-diversity that our country offers. With Panama Canal Tours we are here to serve you. Come, visit Panama, navigate with us the world famous Panama Canal, learn of the culture of our country, admire the beauty of our eco-systems, relax on paradisiacal white sand beaches and islands and marvel at the modern wonder that is Panama City. To design and operate the most exciting Panama Canal tour boat crossing adventures and vacation packages, providing a first-class tourism service all the while continually innovating our offer to better benefit our customers. To become the preferred tour operator in Panama. We strive to obtain your preference by means of supreme customer satisfaction, continually improving our services and being guided by motivation, teamwork and the innovation of our associates. Join our tours and be a part of History.